Entry-level handset features a 2.2" screen and 2 mp camera; comes adorned with Swarovski Zirconia "diamonds". Micromax has launched yet another dual-SIM (GSM) handset in India, the X44 Bling. This glitter-happy phone is the third in the Bling series. 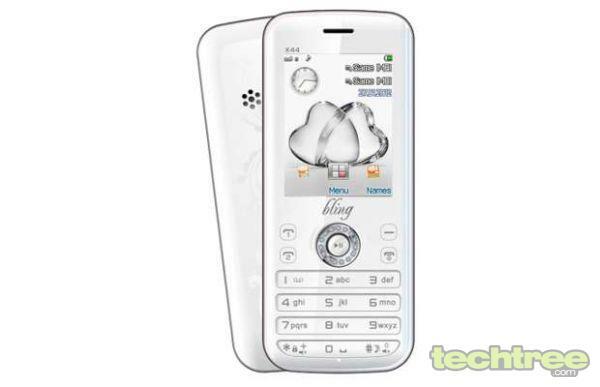 Unlike its Android-based predecessor, the Bling 2, this new entrant is merely a feature phone. You can also download apps on this phone from Micromax's M! Store. The X44 Bling is priced at Rs 3000, and can be bought from both online and offline stores across the country. Just don't use it near a light source, or you might end up being blinded by the reflections off those fake crystals.